All the Modi govt needed to do was come clean on Rafale – ‘We dismissed bureaucratic objections as we wanted deal done quickly for IAF’. The latest exposé on Rafale in The Hindu by N. Ram, and subsequent disclosures by the government in its defence, have helped greatly to take the debate forward. The net impact, at this juncture, is that what has been clear about the Rafale deal, that it’s a self-inflicted scam of arrogance and stupidity, is now confirmed. What was murky, however, gets murkier. *The defence ministry bureaucracy under Manohar Parrikar was uneasy or insecure about how it thought the negotiation was being railroaded. It put its objections on record. *The objections were overruled by the defence minister as “over-reaction” and the officers were told to proceed in consultation with PS (probably Principal Secretary) to the PM. *What this means is that the political leadership, at the very top, dismissed bureaucratic objections. It wanted the deal to be done, quickly. *In principle, this was fine. It is in the nature of bureaucracies to raise doubts, and a decisive political leader can override objections and take responsibility for the decision. Why hide behind serial excuses? Secrecy on price, add-ons and India-specific enhancements (ISEs), bilateral commitment to non-disclosure, HAL isn’t good enough, sovereign guarantee which turned out to be a letter of comfort, Supreme Court has cleared the deal, wait for CAG report, and, worst of all, that the negotiation was conducted routinely as mandated under the set defence acquisition procedures. That “truth” could be something like this: Rafale was chosen as L1 (lowest bidder) in early 2012 for 126 aircraft when the UPA was in power, but three members of that 14-member price negotiation committee made (mostly flimsy) objections. That A.K. Antony, as defence minister, set up a committee to examine these, and then appointed another group of three outside “monitors” to further oversee the process. 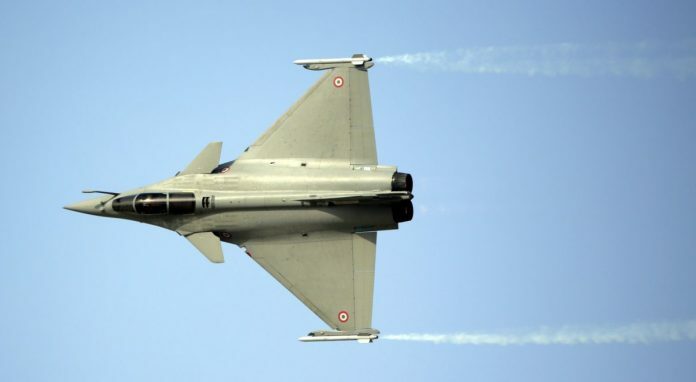 This was followed by a full meeting of the 14-member committee which dismissed the three objections — one of which was something like, the European EADS Eurofighter (the only other contender), had submitted its offer in a more proper format compared to Dassault for Rafale. A committee sat over another committee which was watched by yet another committee and the 126-aircraft deal was finally green-flagged. Then what happened? It was, simply, madam defence minister, tell us, did the defence ministry raise objections to the deal or not? If she had answered truthfully: That yes, it did, which is routine, but the government overruled them in its wisdom, the story may not have come this far. The corollary was obvious: Alright, you are clean, but if someone else did, don’t you owe it to your country to conduct a proper, fair and vigorous probe and catch them? The Congress can say that 32 years hence, nobody has been caught for Bofors commissions. Not even one kroner is recovered. But nor has the party’s reputation. The Bofors taint remains, never mind the Delhi High Court discharge. The second, the Sukhoi-30 purchase, had mega-scam written all over it. The deal was signed and a large advance paid by P.V. Narasimha Rao’s government even after the 1996 elections had been declared. There was very little procedure followed and if you applied today’s norms, it would have been called a crime on the nation. But he responded by taking his opposition (and favourites in the elections) BJP leaders in confidence. Later, Mulayam Singh Yadav, as Deve Gowda’s defence minister, opened all the files to top opposition leaders and came clean. We have recorded that story of brilliant political jointmanship before. There’s never been a question about Sukhoi since, and 23 years later, it is still the IAF’s mainstay and about half its frontline strength. One of the obvious deterrance would be to treat Kashmir as part of India like other states The soecial status as a raft of freebies and privileges given to those so called leaders who hardly work fir their people but continue to create tensions to justify the freebies and ask fir more. Pakustani army thrives on India hate for its parasitic lifestyle. Time to clean up the pathetic domestic anomaly before talking revenge. Many people balk at Modi using vicious communal rhetoric to advance his electoral agenda. But that is his key. Whether it is Rafale or some big unpopular economic reform, he gets elected with this rhetoric while carrying on with his agenda. This is also the reason why there is so much friction between him & RSS off late. Rajiv Gandhi was an accidental politician & Narasimha Rao was a gentleman. Modi is a thoroughbred Indian politician & a street fighter and he doesn’t count on the usual tools the previous PMs counted on to run for elections. Ridiculousness of Indians never ceases to amaze me. With Kashmir it is all about what they’ve done to us and never about how India brutalizes and murders kashmiris. How it has done that for decades. It is funny how Indians never seem to consider that at some point the other side will fight back. Pakistan is always the easiest to blame as it keeps the focus away from their own atrocities and keeps the hate against Pakistan strong in everyone’s mind. Scams should not be seen in terms of either small or big , because a scam is a scam. have very aptly titled this column as National Interest ! The national interest lies not in beating about the bush or going right or left but perusing things objectively and in perspective. The questions answered manyatimes by Mrs.Sitharaman remain unanswered and still are under deep cloud ! with dual Finance and Defence portfolios to begin with ? Then Mr. Manohar Parrikar replacing Jaitley as Defence Minister was rushed mid term to Goa to grab Goa ! offices of Defence Minister and Defence Secretary ? exercises undertaken so far ? Is not the nation’s polity responsible and blameworthy for frittering away national resources, energies and time in futility so far ? Can it be deemed seriousness, consolidation and strengthening of defence preparedness of India ? but for the time being these are more than enough in the larger public and national interests ! Time to introspect and ponder over the questions raised above once again in the best National Interests ! Amazing article 🙁 Not a word about how Anil Ambani made the entry into the deal! Was it clean too? Respect you a lot.Now kindly tell me how Late Mr Ramnath Goenka would have handled this story?I still believe NAMO will come out of this situation with flying colors. Praveen Togadia has formed a party called Hindustan Nirman Dal (HND). If the BJP fails in these elections, which by all indications it will, then the Bhakts will gravitate towards HND. Modi and Shah have the temperament of violent Hindutva, but they cannot go to HND because Togadia is a sworn enemy. So they will go back to Gujarat. Rest of the BJP will go back to the Vajpeyi model which will be good for India. Rajnath Singh will gain importance which will be good in general. No one knows what will happen of Jaitley and Ravi Shankar Prasad. The small-timers will huddle into a house with a nameplate: “Na Ghar Ka Na Ghat Ka Department”. With a line below: “All are welcome.” Hari Om! The Rafael deal is clean as a whistle. Everything else is just gas. Move on with your lives people. Modi is a habitual corrupt since his CM day if Gujarat, he did not appoint lokayaukt in Gujarat, Gujarat pertroliem scam UT remains to unearthed, his coastal land allotment at throw away price to Adani is a biggest scam ut to see the light of the day. Honesty speaks of it self, he just cannot keep his face straight whenever challenges of Rafale thrown over him? Why,? honest doesn’t need to hide behind layers of suspecious curtains. Bhakts have responsibility to see their devta come clean from this Agniparksha of Rafael. Will they force him to come clean? What an amazing story – the issue is did the PM/PMO interfere . The answer is Yes. Cut the clutter. The next question is why did the government interfere and apparently misinform the SC . Here the article is in very shaky grounds. Shah bhai modi bhai are not babes in the woods. For folks claiming to do serious journalism, it may be worthwhile to see if any of the companies directly or indirectly owned by the awarded offset partner, have spent large amounts on electoral bonds. If yes, you may`ve get your answer. Or funded Bollywood movies on propaganda topics like swaccha bharat, open defecation, pakora economics, surgical strikes, caricaturing or criticizing Opposition. These suddenly seem to be the hot topics in Bollywood, and are bound to influence voters. Interestingly the movies also won’t come under election code of conduct and can be freely played by channels during the election phase. Dear Mr. Gupta, You are saying that Modi govt could have been more transparent : “why did the Modi government not make this full disclosure?” In the same logic why didn’t The Hindu make full disclosure of the notes? It displayed a clipped version where a signature is partly visible and Parikkar’s note is completely cut out. This is utterly dishonest. You should have raised this first in your article. This is the level of transparency in the Indian journalism. Before giving lessons, the journalists should clean their backyard. Ok. Procedure not followed. MOD sidelined. Shame! BUT WHERE THE HELL IS A SCAM? Anil Ambani is given a piece of offset pie at the behest of Modi. So? Does it follow that Modi “stole” Rs 30,000 cr and “gave it” to his friend Ambani? The rascals who are inveterate thieves are saying this of Modi while the truth is Anil will share the offset pie with 80 other companies and may get 800 cr deal at best. And you Shekar Gupta, have you ever called out Rahul’s lie? Very sorry to say the writer seems to be not objective. he is calling modi bjp just stupid which is no crime and thereby exonerating it of big scale scam. Modi bjp cannot come clean as nothing is clean in the deal. most important how can you invlove a defaulter ambani with thousands of crores npa and with no experience in defence manufacturing at all. he has not produced any small gun forget about hi tech aircrafts. second, how come price became double by any kind of reasoning? are they fitting aircrafts with hypersonic missiles with same cost as aircraft? suit boot corrupt cunning sarkar working for big businesses and big names at the cost of poor common man money. Those who make allegations have one distinct advantage. They don’t have to prove anything, they have only to create doubts. It is the perception that matters. Modi, the shrewd politician, has miscalculated and is bound to lose votes of those who doubt. Once the elections are over, the issue will be dead and nothing tangible will come out of it. Anil Ambani has a JV with Dassault in which Dassault will be investing around Rs.800 crore, i.e. less than 3% of the total offset amount. Components of Falcon planes, used for civil aviation, will be manufactured there, as per statement made by the company. However, as per public perception, 36 Rafale fighter jets are going to be made in Nagpur, which is ridiculous. 36 fighter planes cannot be made with investment of just Rs. 800 crore. If Ambanis are unable to bring in matching investment, Dassault will make Ambani sell their stake and induct another JV partner. Such changes are allowed as per offset guidelines. All the 36 planes will be made in France. However, truth doesn’t matter, perception does. Modi will be paying for his arrogance, which is not a bad thing afterall. It is not as simple as what Shekhar writes. I cannot call it arrogance of the government. It is dishonesty of the journalists who print the lies by congress. Government did not go on appeasing the press. Now press is paying back by printing the lies of congress. Does the press believe it can come clean by taking side. They are losing their credibility. Government is doing the right thing by not jumping into every allegation of opposition. Lot of those are countered by information in public domain by ordinary people. Social media is doing a good job of countering the lies of congress. does anyone in Rural India care about Rafael and its lies..no one.. But they very much care for a thing called “scandal”. Every Indian is interested in scandals. Don’t be so sanguine that Rafale will have no effect in remote villages. Lack of experience in explaining about defence purchases which have been usually murky for the last 7 decades. Though good intentions are good, there has been a lurking lack of confidence in tracing the history of the deal, which has been handled by many ministers and bureaucrats. Who has time to go into loads and loads of files. Your article implies that the deal was not done in UPA 2 and was completed by this government putting national interest ahead. That looks like a news to me. Fact in public domain points to the contrary that it was a done deal and was renegotiated by this government quite unfavourably to the national interest. Is this not the case? The Oly Question I do have .WHY AMBANI? And only Modi knows the answer. It’s all about creating perception for 2019.on the cost of national security which is win win situation for both govt and opposition .It’s voter that has to decide Modi or some one else but couldn’t know the truth. To ink the deal quickly, you cannot sign on any ARBITARY deal!! If someone’s “fingers are itching to sign a hugely important document just to satisfy his ego” you cannot have him sign the DEATH WARRANT of our citizens and soldiers! How could 36 defenders cover what 126 defenders were supposed to cover to secure the country for fully safely? Is this the way to serve and protect MAA BHARATI?? Will shouting vande mataram and Bharat mata ki jai suffice? Isn’t this BJP government a bunch of hypocrites and ego maniacs? It is a very ill informed, badly motivated and non factual fiction that this gentleman has written. Not sure about his qualification or background but rumours are there that many journalist got rich by selling and compromising their profession. Hope these two are not some of them. I think a formal investigation must be done on disproportionate asset owned by journalists in India as is being done on Vadra. Surely some big fish will get caught. If Rajdeep Sardesai is praising this article you can rest assured Shekhar Gupta is biased. Modi is bad because he doesn’t pay heed to this cabal of paid journalists. So my friends, Modi WILL be removed. These people will continue to rob India. But Indians deserve it. Few lines on more than fifty off-set partners including HAL and Ambani and Rahul’s allegations that Ambani has benefitted to the tune of some thirty thousand crores from it , would have made the article more balanced. A good government and its PM should have taken opposition party including Congress into confidence. PM could have told the parties that he is taking forward the incomplete deal in a different way with inter government deal. The problem was AA who seem to have got into this Web for some reason or other. In the present age and system unlike Bofors, money trail cannot be traced. Donations to parties in Difense deal is well known and this where some gets into pockets of outsiders. Rajiv Gandhi stopped this dealing through Defense agents. It was revived by present government in 2015. Modi may not have got the money, his party would have and government in fix the same way Bofors under Rajiv. Very cleverly the issue is made technically,legally,procedural complicated for common man to understand.If you caught wrong procedure wise then argue on technical issue.So conviniently side line money/corruption issue. Mr.Gupta has covered one aspect of the Rafale deal here – the procedural lapses. Even if you give Modi & Parrikar the benefit of doubt on the procedures, what about the other two critical aspects of this issue? 2. The 200% escalation in price. While sympathizers of Modi would like to frame this as a Procastinstion v/s decisiveness debate, the less sympathetic will continue to suspect if “Chowkidar hi Chor hai”!! Wah Sekhar ji. ADVERTISEMENT OF GOVT can make one to stoop such level is astonishing. First you blindly supported Modi then started writing confusing news, then mild opposition to Modi and now openly opposing him by using words like STUPIDITY. Wah, what a long U-turn. You are not only one who is doing this. Most of the journalists are sailing with you. You all bringing bad name to journalism. Above all you all are ruining our country. Thanks for pointing out a way forward to the govt on Rafael. It’s remarkable that for all your journalistic instincts, on Rafael all you can see is a honest govtgovt trying to take a deal forward. For what? For getting 1/4the the number of planes, delivered in 5 years and 3 years later than what we otherwise would have got them, at a higher price. Does this work for IAF? No. Because they didn’t get the numbers they actually wanted. And now they are ordering Sukoi as stop gap. I guess the journey down in this post 2014 rabbit hole doesn’t end. Well said Bade Bhaiya. This is a very inaccurate and partisan narrative by Mr Gupta. Here is a so called ‘Govt to Govt’ deal with no sovereign guarantee!, with no transfer of technology to benefit India for the future, with a drastically reduced number of planes with a higher per unit price, with direct negotiations bypassing our defence establishment and all Mr Gupta thinks is wrong is the way the Govt is presenting the deal to the public. Wow. One way out of this imbroglio is for the apex court – where would India be without Their Lordships – to recall its earlier, very clearly defective order and to complete its hearing process, taking cognisance of what is now known, starting with the fact that there is in fact no CAG report that has been placed before Parliament. No technicalities on Article 32. The issue is of national importance, the financial stakes are substantial. A detailed order which either finds the deal completely in order, or otherwise. 2. The JPC is a completely political animal. Members will vote entirely along party lines. At the fag end of the life of the 16th Lok Sabha, with the election campaign practically on, it will be a waste of time. 3. In a democracy, as in Ram Rajya, Sita Devi must clear her fair name, even before a washerman’s coarse remark. The reason the Modi government is not coming out and saying what you call the ‘obvious’, is because it can’t! 1. Gave a contract worth 30,000 crore without a tender (or any process as such) to a teetering company with no defence expertise? 2. Reduced the number of planes bought even though we are drastically understocked in this regard? You don’t need to be a Gujarati businessman to know that the bigger the order, the lower the unit cost! 3. Didn’t get a sovereign guarantee? Was it because France didn’t trust Reliance Defence? Much better to blame all this on others, because an untainted Modi is final straw they are clutching onto. And there cannot be any smoking gun. That could only exist if Reliance had got that 30,000 crore! a. If the rates were finalised in April 15 during the visit of PM to France and the same was to be bulldozed though all the negotiation process, then why go through the charade of Negotiation committee being set up in May 15 and finalize exactly the same old rates only after all the pointless debates and sittings for 16 months. be not required to be cleared by MOD and declared in advance. 3. Why this untruth is being propagated that the originalTender conditions of 2007,against which the rates for 126 Jets were received, was for BARE BONES FIGHTER PLANES…. Was the IAF brass looking for just a passenger plane without weapons at that time…. Is it a believable proposition. U are still a joker and rice bag convertors . You don’t have logic like your ancestor who converted . Jets always comes in bare metal frame and weaponary are extra as per requirement . Reliance and dassult mou was signed in 2012 , why cry now ? Also reliance is just one off the partner in 29000 crore offset contract which is also given to rest 70 others. In defence bigger the order , bigger the discount never works. As this is not a stocking item. This is made to order. Dassault choose their offset partners and not government . Dassault had bad experience with HAL. Amit Paaji, better to avoid alternative facts. The Dassault-Reliance MoU you talk about was with Mukesh`s Reliance, which is a totally different company than dear Anil`s. This company was established in 2015, around the same time as the new deal. Once you consider this, the story becomes different. Until any money trail is exposed, calling this government dishonest on the basis of procedures bypassed is not correct. Also, whatever way the government defends it, Congress wants to use it as tool to prove that this government guilty of any thing like autocratic etc. They want to repeat 2013-14 scenario where BJP blamed them for scams. After much water has flowed down the Ganga, you are acknowledging that Modi could have made mistakes. – a fact that Non- BJP slaves, many of them not brilliant journalists; have had no problem understanding from the begining. You could have hidden your bias for BJP and Modi better, if you had also brought up 1. the difference in prices 2. the so called- Offset arrangements involving the now bankrupt Anil Ambani. Keep up your head-in-the-sand- ostrich attitude and you will also miss all the wonderful news coming out of Australia on Adani. The problem is the monkey balancing of the article. The writer knows that the deal is a clean deal, but still wants the government did something wrong and admit to procedural lapses, to admit its speed as form of weakness. If the writers intentions were clean, he could have questioned Rahul Gandhi. Why Rahul Gandhi your minister Saint Antony sat on the deal for more than a decade. Deliberately there is an anti Modi spin or twist given to this article. The writer is clear that there is no corruption in the deal, still he is questioning Modi and Rahul. The writer is some sort of office bearer of the Editors Guild. What is his view on his editor colleague twists the article by not showing the Defence Ministers remarks. He is clear in his remarks that the bureaucrat was over-reacting, Sad commentary no main stream media. If you are neutral in situations of injustice, you have chosen the side of the oppressor. If an elephant has its foot on the tail of a mouse and you say that you are neutral, the mouse will not appreciate your neutrality. – Desmond Tutu. We do not appreciate you monkey balancing. It reeks of corruption more than the Rafale deal. Well said Mr Manish Shah, the bias is clearly everywhere to be seen. Read from article “It was, simply, madam defence minister, tell us, did the defence ministry raise objections to the deal or not? If she had answered truthfully: That yes, it did, which is routine, but the government overruled them in its wisdom, the story may not have come this far.” Consider the defence minister did this, Rahul Gandhi straight away would have said, “there you go your government acknowledged the interference, which is the big proof of corruption”. Coming to P V Narasimha rao and his opposition leaders are completely different. Shekharji, I guess that you have never worked in any Government or Public sector. Let me tell you the process. The junior officers & team will prepare extensive notes, supporting why the decision should be made. The JS and above will read the notes and raise critical comments, just to plug loopholes if any. The critical comments does not mean dissent notes. Finally it is a decision made with inputs from various sources and the top authority agreed to the decision formally. Well said Mr Ganesh. That is the way all cases whether procurement or otherwise are processed. The concerned officials have to bring out on paper all pros and cons of a case and kill the cons with reasoned arguments or suggest solutions. In the instant purchase too, the government should have come clean on the reasoning underlying the final decision. Not even a single word about Rahul’s untruths. Well said Mr Gupta. It is quite possible that some more papers might come out soon springing more surprises on this generally clean government. Brazening it out will not shake off the suspicion. Unfortunate fall out of all this could be the opposition benefiting while all their senior leaders are under a cloud.